I went to my second midwife appointment today. I was running late as I wasn't feeling to good as I was going on the school run. When I got back home, I cleaned the kitchen and made my usual porridge and fruit breakfast. I managed to sit down and eat and then my partners mother came in the house so I could head off to see the midwife whilst she looked after Elliw for me. My appointment was at 9.50am and I didn't leave the house until 9.50, I finally arrived at 10am. My appointment was only for 10 minutes. I got to hear Baby's hearbeat for the first time. Baby was quite low down. I was happy. When I arrived home, I read through my notes and noticed that Midwife has put me down for High Risk for this pregnancy. 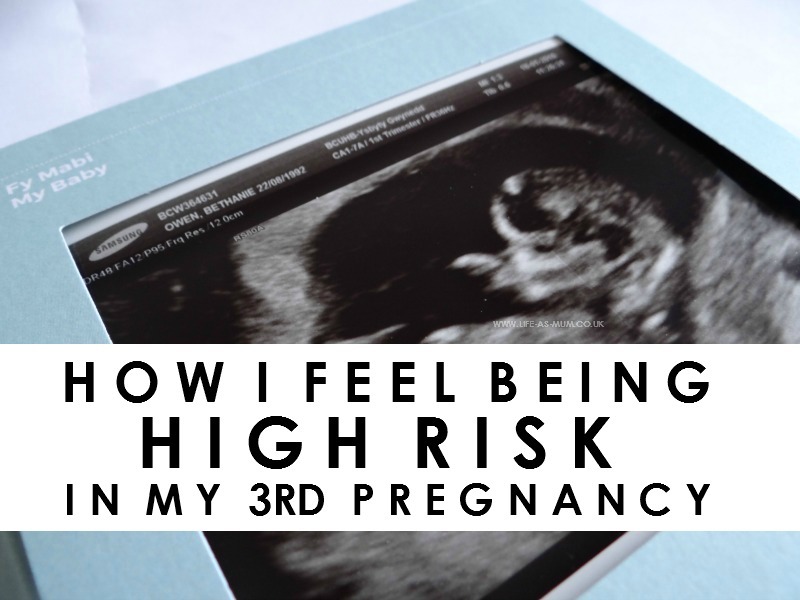 I was high risk in my other two pregnancies but only because of Obstetric Cholestasis. They have already put me down now for high risk now because of my weight. It may be all the hormones but for some reason I feel so upset about it. Why did I let myself go and put 2 and half stone on last year when I had done so well loosing 3 and a half stone the previous year. I feel so disappointed in myself. I was really hoping to be able to go into labour myself without getting induced and hoping to reach my Due Date or even pass. I will probably complain like mad if I do, but I know after I had Baby I will be proud that I have finally experienced that feeling of going into labour on my own. I have a diabetes test around 28 weeks and I have to have a scan at 32 and 34 weeks to check Baby's size because Mia was born 8lbs 9oz and Elliw was 9lbs 8oz, both before their due dates. I am hoping that because I started my Slimming World Journey (again) last week, that eating healthily this time round will help me and hopefully make Baby smaller. My cravings were all junk food with Mia and Elliw and I had no idea how much weight I was gaining. I am trying my best to do the total opposite this time round. For some reason, I do feel like some kind of failure that I am somehow putting my Baby at risk, all because I couldn't say 'no' to food and healthy lifestyle last year. Just knowing this is going to be my last pregnancy, it is kind of sad knowing I am still going to suffer with Cholestasis during the last 10 (or more) weeks and dealing with my weight all the way through. You can call me a hormonal cow, because I know I am! Lots of things are worrying me and getting me all emotional recently! I think they just have to take precautions so don't worry to much - you certainly don't look high risk! Bless you I was classed as high risk in my pregnancy with Blake as I have PCOS. I know I would feel awful as well if I found out it was due to weight it's not the best thing to find out about when ur pregnant and feeling hormonal. I was just about to suggest joining Slimming World to help you through it and then I read that you had. Well done, you are doing what you can which is brilliant! Don't put yourself down or be too hard on yourself, it will only make things worse.